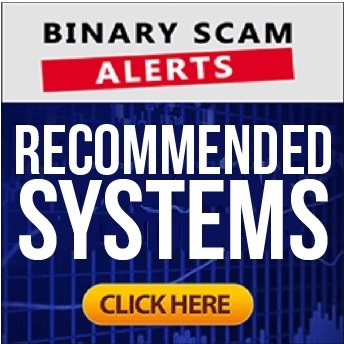 Binary Scam Alerts » Binary Options SPAM » Join the Binary Options Anti-Spam Movement, Fight for Change! In this unique article we will not be offering you any service or reviewing any of the SCAM products out there promising you a sea of gold at a click of a mouse. 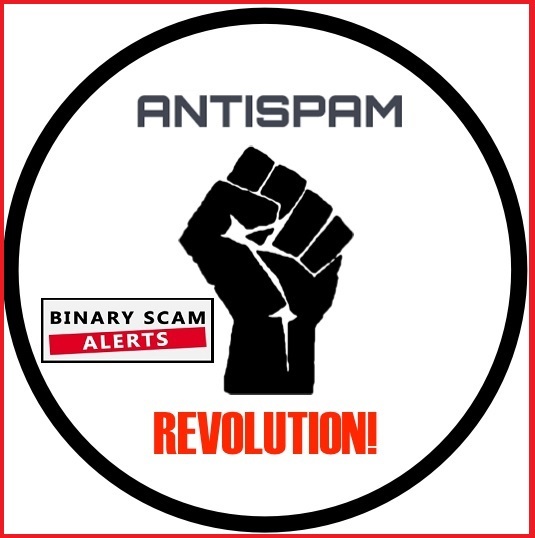 The staff and management of Binary Scam Alerts has decided that SPAM email marketing is probably the most prevalent and effective communications tool used for baiting and enticing innocent day traders to join what we believe to be fraudulent trading schemes designed to illegally steal your money. We have noticed a significant increase not only in the amount of SPAM messages and junk E-mails day traders have been recently receiving, but also in the diversity and level of brazenness these marketers have reached. Additionally, we have received reports that despite using all the required spam filters, some emails are actually able to enter the inbox, and that is where the most damage is done. Why am I Receiving These Messages? This can be for a variety of reasons, however first you must ask yourself if you have registered for any of the following or similar scams: Limitless Profits, Millionaire’s Blueprint, Trade Tracker Pro, Binary Matrix Pro, The Free Money System with Walter Green, Binary App 810,TrianaSoft, the Amissio Formula, the Sydney System, TSI System Scam, My First Online Payday, Trade X Confidential, Insured Profits with Dave and Ginny, Tauribot, Citidel, the Push Money App, Centument, Virtual Income, Hedge Formula Group, Quantum Income Machine, Lie Detector Millionaire, Profits Infinity, and Cloud Trader. If the answer is yes, you must understand that your email and possibly additional details you provided is most likely circulating among 3rd party email marketers AKA Spammers. So, how does that work? Well, there are various types of deals that are prevalent among these promoters. The first is simple to grasp, your personal information is being sold to other people who have services you never signed up for. To illustrate, if you have recently signed up for a money-making opportunity it’s very possible you will be receiving email offers related to replica watches, gambling, online pharmacies, dating services, foreign brides, work from home jobs, online surveys, Forex, lotteries, business opportunities, MLM programs like the Empower Network, affiliate marketing, HYIP’s (High Yield Investment Programs) a myriad of Ponzi schemes, or various pyramid schemes. The second deal is called a swap. This type of collaboration is when two (or more) parties wish to trade your personal information for another and forgo the fee. In this scenario you will actually receive offers from two marketers who are both trying to get you to buy something or register for a service. The third type is where your information is simply given to another party in return for a favor or service provided instead of money having to change hands. For example, if I am a broker and receive a lot of customers from one supplier it is very possible your contact information will end up in his hands as a kind of perk designed to retain that supplier. The fourth and most notorious is not really a deal, but has to do with your information being stolen by a hacker or bitter employee which has been mistreated or fired. If that is the case then your email will just be sold to the highest bidder and then hammered profusely with a variety of offers. First, you should have 2 types of emails. The first is your private email which is the most important kind and you use if for the real important day-to-day activities like communicating with your loved ones or logging on to your bank account. The second one should be used for anything which can be potentially spammy like offers or money-making schemes. Another way to do it is by unsubscribing, and if that doesn’t work send it to SPAMCOP and this will surely have his email server black-listed. Please note, this is a very aggressive measure and should be used if you have asked to be removed from the mailing list or unsubscribed but keep getting spammed. You can also create a rule whereby any email originating from the sender’s mail get’s directed into your junk mail immediately. The first thing you must do is report them on our unique “report a scam” section where we archive all the scams and let you sort and filter our growing library of scams before you decide to risk your money and invest in any kind of binary options or Forex trading system. What is the Criteria for SPAM Email? According to the CAN-SPAM Act you are not allowed to use “deceptive subject lines” or misleading header information. If you have been caught sending unsolicited emails you can be fined up to $16,000 per violation, which can result in massive penalties and once someone is on their radar the authorities are relentless about collecting their money and will most likely shut that business down as well. As you can see these email are usually text only and don’t use HTML or fancy graphics in order to avoid SPAM filters. The two examples bellow illustrate clearly how some messages land in the junk box, while others really make it into your inbox. And we are talking about Gmail accounts which have developed a zero tolerance approach for unsolicited emails. There are other forms of SPAM which have become more commonly used, most recently SMS or text messaging on your cellphone or mobile device is getting to be a nuisance and much more difficult to opt out from. Continued complaints about spoof emails, phishing, and malware are consistently coming in and at times we feel like the metaphorical Sisyphus pushing the boulder up a mountain only to watch it roll back down repetitiously. However, every time we get a show of support in the form of a comment or thank you email it lifts our spirits and gives us the energy much needed to expose these cyber-hooligans and their crafty methods of operation. For more information regarding safe binary options trading tips, signals and automated trading reviews, as well as more ways to avoid scams, please make sure to join our Facebook Group and Subscribe to Our YouTube Channel.